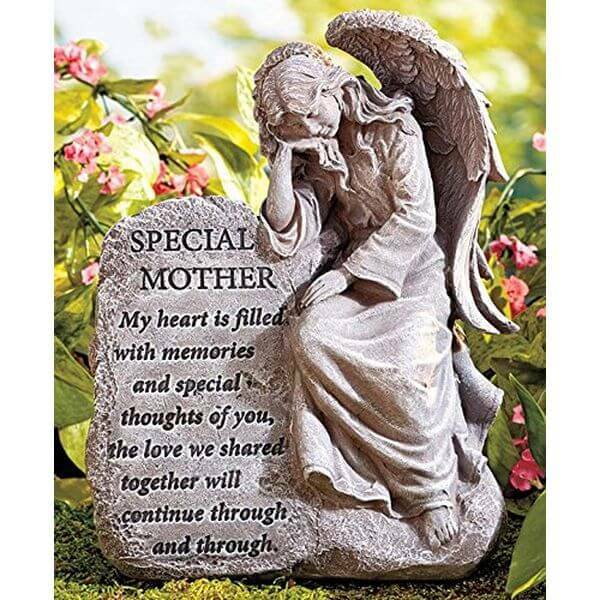 Commemorate your mother or the love you shared between the two of you with the Special Mother Memorial Angel Garden Statue. 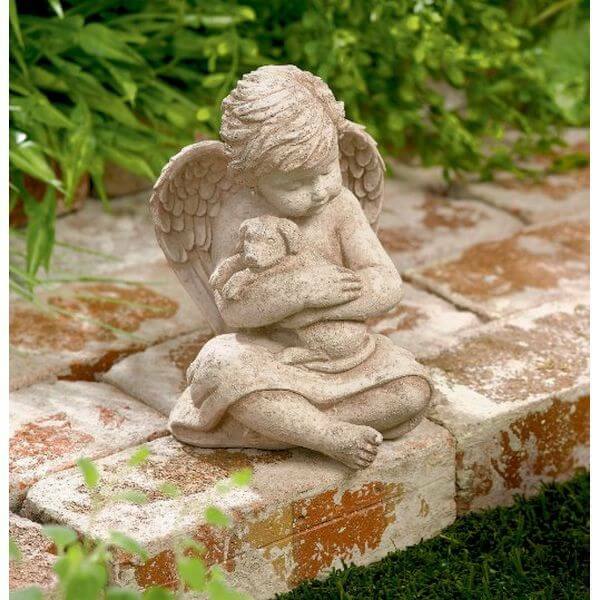 This garden statue features an angel resting against a slate upon which a poem has been written. It is made out of cold cast ceramic and is sure to last for years to come. The Solar Powered Angel with Glowing Dove Statue features the shape of an angel who is holding onto a dove. The dove is a solar powered LED light that will glow at night. It is made out of durable poly resin and has been hand painted for beautiful detailing. 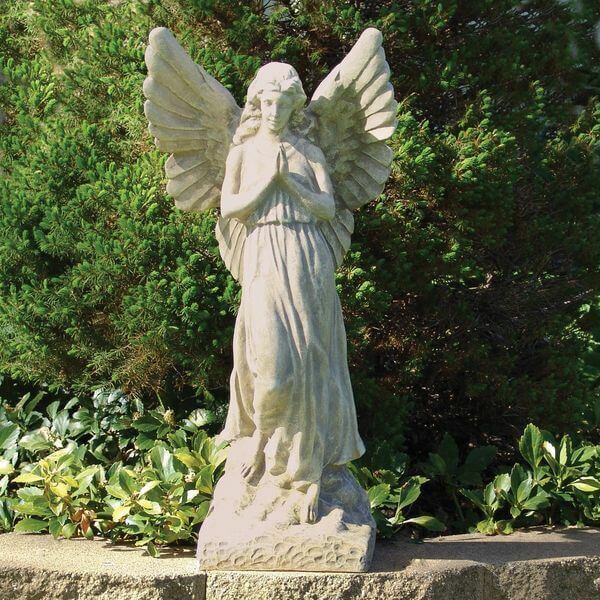 The Sculptural Gardens 23-Inch Guardian Angel Statuary will preside over your garden with its tall, towering nature. It is made from an all-weather material that will resist breaking over time. A hand applied weathered stone finish offers it a classic statue appearance to go with any other decorations. 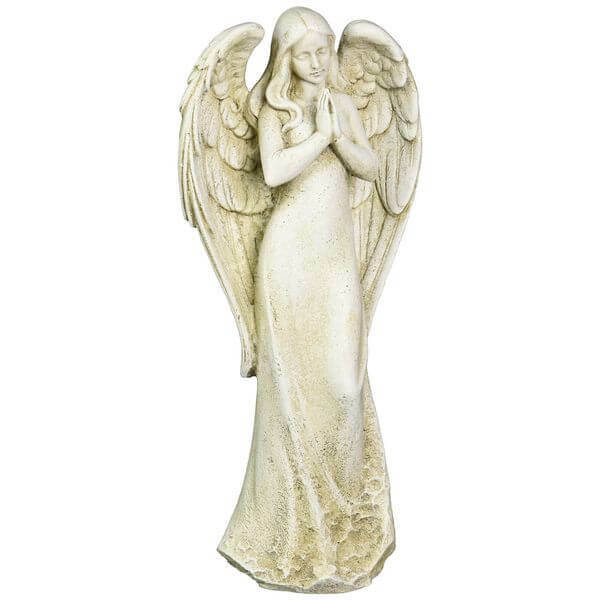 Add tranquility to your garden with the Joseph Studio Tall Praying Angel Statue. This tall statue features an angel in a dress, her hands pressed together and head bowed in prayer. It is made out of a durable mix of stone and resin to ensure a long-lasting statue. The Grasslands Road Cherub with Dog features the form of a cherub angel sitting cross-legged on the ground while holding a small dog. It is made out of cement that has been blended with resin to bring out its details. This figure stands around 7.25 inches high. 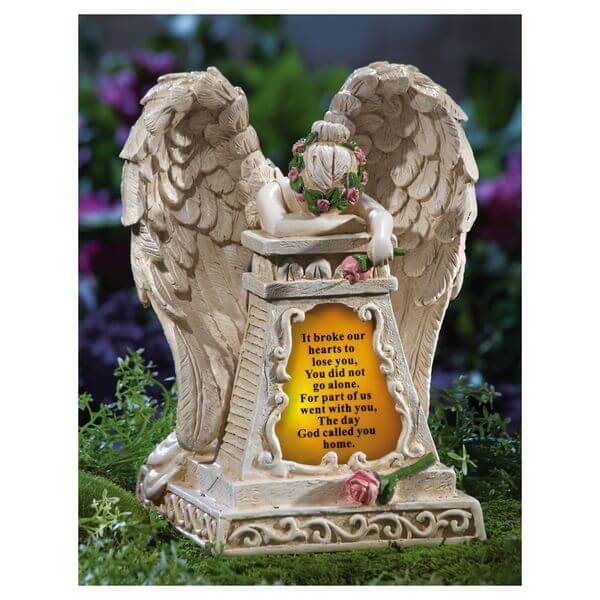 Touching garden memorial features a grieving angel and a consoling verse. Lights up each evening with power provided by its built-in solar panel. Stone-finished resin with touches of plastic and metal. Includes a rechargeable AA battery. On/off switch. Measures 6 3/4″Sq. x 8 3/4″H. 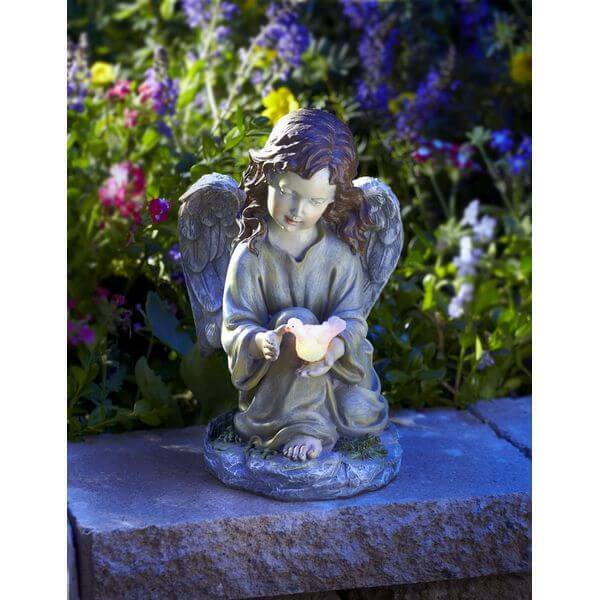 Memorialize a loved one in your garden with the Solar Lighted Weeping Angel Garden Statue. This lighted memorial features a weeping angel resting her head against a lighted bit of poetry. It is made with stone resin as well as plastic and metal. It measures 8.75 inches high.